When asked what criteria he used for selecting poems to be included, Rowell explained that his aim was "to assemble poems that are very well made and poems that asked significant questions about humanity, meditative as well as provocative poems, lyrical as well as narrative poems, whose form and language and tone and vision, nudged readers to interrogate themselves as well as the world in which they live—or the world in which they want to live." 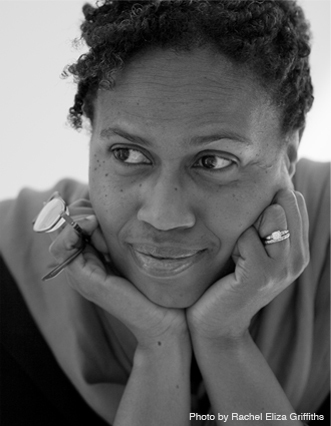 This shift towards a less public, more personal style, Rowell says, came about in part because contemporary African American poets are allowed "social and political freedoms that were largely unknown to their distant and recent predecessors." Nevertheless, Rowell says that "the historical fact of enslavement and its multiple consequences" continues to make the work of contemporary African American poets different from that of contemporary American poets who are not of African ancestry. "This heritage is unlike that of other U. S. Americans," he says. "Along with a memory of horror and terrorism, there is also a memory of triumph over the ills of the past. And that triumph is also a vital component of African American heritage, for it is also the world that the distant and recent ancestors made for their security and survival and that of their descendants that enables and empowers African American poets and other artists to create as freely as they have done and continue to do so since the Civil Rights Movement and the Black Power Movement." Rowell is the editor of Callaloo, a literary journal he founded in 1976, and is a member of the English department faculty at Texas A&M University. He says the "need to inform" was the driving force behind Angles of Ascent. Though Rowell has been publishing poetry for years in Callaloo he is aware that, even among academics, there is little interest in contemporary poetry. "Each time I spoke to a number of academics and general readers about contemporary poetry and poets, I noticed that their eyes would eventually glaze over," Rowell told TCR. "Although these academics—and sometimes general readers—had heard of the poets whose names, from time to time, had appeared in the press (Rita Dove, Natasha Trethewey, Lucille Clifton, or Yusef Komunyakaa), they had not read much, if any, of their poetry." Another motivation for putting together the anthology was clearing up misconceptions about what contemporary African American poetry actually is. Rowell explained to TCR that a "large audience out there that thinks that certain popular forms—such as rap, spoken word, slam, etc., as well as earlier popular forms—constitute what I am referring to as recent contemporary African American poetry. One needs to go back and critique what our teachers are telling youth in the schools." Contemporary poetry's reputation for being difficult to understand should not, in Rowell's view, limit its audience. "I agree that uninitiated readers might initially find modern and contemporary poetry challenging, but are so mathematics and biochemistry," Rowell says. "One needs to learn the language and the variety of methods of expressivity in modernist and contemporary poetry. In short, one needs to learn to read again. The problem is that in this country we do not wish to take on such challenges...Americans enjoy physical or social challenges, but intellectual challenge in the arts is a concern of the few." 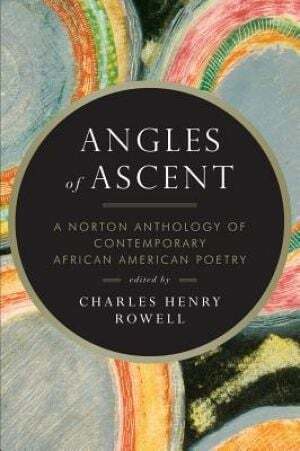 Rowell notes that Angles of Ascent "is not a comprehensive gathering of the entire landscape of native-born African American poets" but is "intended as an introduction with a variety of examples. And each day as I read I suffer the same anxieties any editor of a poetry anthology seldom publicly confesses: the anxiety of inclusion. How did I miss that poet? When did this or that excellent poet start writing? I have never heard or read him or her before. These problems will forever trouble me privately until my editor at W. W. Norton invites me—if she ever will—to edit a new and updated edition of Angles of Ascent. Until then, let us hope that the anthology does what I intend it to do: to inform and to educate, and I say so politely." As to what makes a good poem, Rowell says "I want a poem that, through its own art and sense, invites me back from time to time; I want a poem that never allows me to stray completely from the seminal question it raises and the magic of its measured art" but, he adds, "the question is a very difficult one. The 'outstanding poem' for me might be a failure to you, and a failed poem to me might be one that you champion." Amiri Baraka. "A Post-Racial Anthology?" Poetry Magazine. 1 May 2013. Alli Carlisle. "Poetry Review: Angles of Ascent." Newcity Lit. 3 April 2013. Vievee Francis. "In Voluntary Solitude: An Interview with Charles Henry Rowell." Los Angeles Review of Books. 31 May 2013. Alysia Nicole Harris. "Review: Angles of Ascent." Cordite Poetry Review. 1 September 2013. "What Baraka Was Really Saying." Chocolate City Review. 2 May 2013. 8 Bonus dan kemenangan akan di tarik jika target turn over tidak tercapai terhitung dari tanggal deposit atau ada teridentifkasi kecurangan dalam ip address, nomor rekening, nama rekening. Enjoyed reading the article above , really explains everything in detail, the article is very interesting and effective. Thank you and good luck for the upcoming articles.